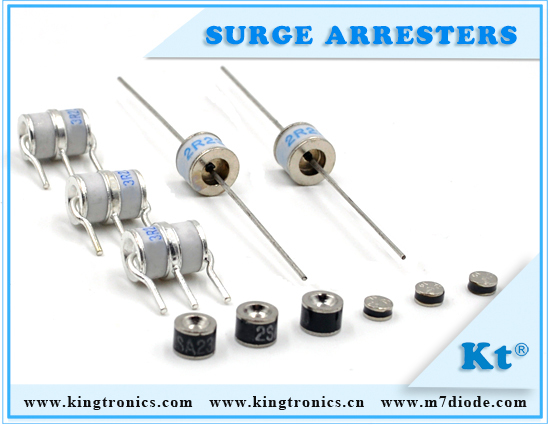 The capability of the surge arrester in energy dissipation against switching surge is well expressed by the magnitude of kJ/kV (arrester rated voltage). These values show the dissipated total energy per two shots of switching surge that the surge arresters can withstand thermally with these values. 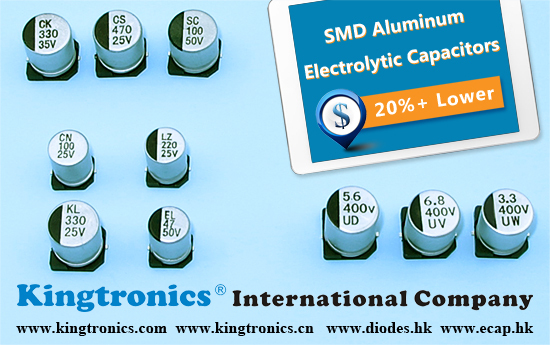 Where the energy capability is inadequate in our standard series. 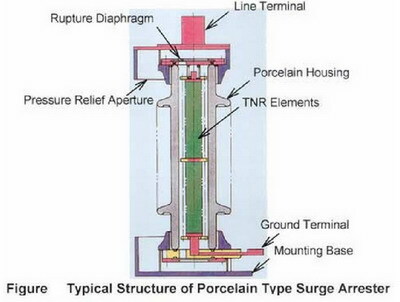 Typical structure of surge arresters are shown in Figure below .The surge arresters are basically composed of the TNR elements, housing and associated parts with insulating gas filling as shown in figures. The hermetic sealing of the housing is constructed with weather-proof synthetic rubber. The pressure relief diaphragm is structured with special metal plate, which is ruptured when a sudden pressure rise occurs in case of the internal failure.